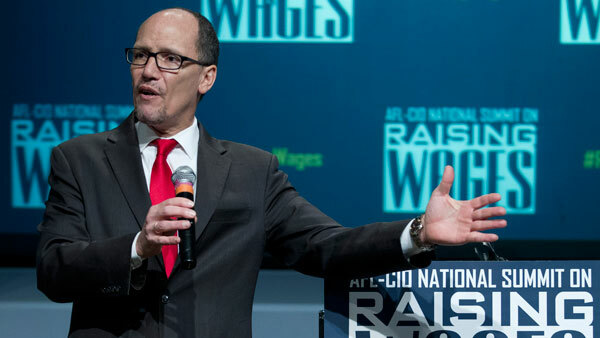 Labor Secretary Perez says DOL is sharpening its thinking on the fiduciary rule thanks to comments; FPA plans to weigh in in "very comprehensive" fashion. Just as the House Appropriations Committee plans to vote on — and likely approve — on Wednesday a funding bill that would block progress on the Department of Labor’s fiduciary rule under ERISA, Labor Secretary Thomas Perez stated Tuesday that the rule is “one of the most important” measures DOL has on its plate to protect middle-class Americans. At the event, held by Brookings’ Hamilton Project, Perez stated that the comments that are coming on the fiduciary redraft are helping DOL to “sharpen” its thinking on how to make changes to the plan’s prohibited transaction exemptions, like the point of sale disclosure requirements. The DOL fiduciary redraft is out for public comment until July 21, with the department to then hold a public hearing for several days starting Aug. 10 on the redraft. DOL will also accept comments on the transcript of that hearing. The Financial Planning Association, which met with DOL on Tuesday as part of its annual advocacy day, plans to send a “very comprehensive” comment letter, said Janet Stanzak, FPA’s 2015 chairwoman, during a media roundtable the same day. While FPA “broadly supports” DOL’s fiduciary redraft, she stated, FPA will comment that the current redraft’s eight-month timeframe for implementation is “too short,” and FPA will also recommend ways to streamline the plan’s “reporting and disclosure” requirements.